Ampacity Electric is an owner-operated electrical contracting company in Wood-Ridge, New Jersey that also serves Bergen, Essex, Passaic and the surrounding counties. Ampacity Electric provides efficient service calls and exceptional customer service. 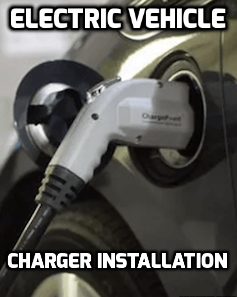 We specialize in: electric panel upgrades, portable generator connections, remodeling and repairs, electric vehicle charger (EVSE) installation, new circuit installations and troubleshooting. Our highly skilled technicians can handle any job you require; nothing is too small or too big for us to manage in a professional manner. All current and previous clientele in Wood-Ridge can attest to the fact that, at Ampacity Electric, we exceed expectations when working to tailor the ideal solutions to satisfy your unique requirements, taking into account any budget and time constraints. 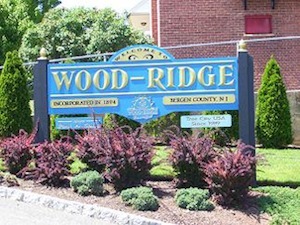 As a Wood-Ridge resident, you won’t find an electrical company better than Ampacity Electric when it comes to expertise, reliability, quality workmanship and superlative customer service. Your family’s safety and comfort is as important to us as it is to you. We’re meticulous in our approach to all work and will ensure we leave your home as tidy and clean as it was when we arrived. We offer high standards in every aspect of our business that simply can’t be matched by our competitors. As a resident of Wood-Ridge, Ampacity Electric has the only electricians you’ll ever need. Whether you’re an adult or a child, playing with electricity is incredibly dangerous unless you happen to be a licensed, trained electrician. Never touch electric wires! Apart from the danger, you’re breaking the law if you do so. Make a single phone call to Ampacity Electric and you’ll soon have a skilled, licensed electrician on your doorstep to update any poor quality wiring, install new equipment or fix any other electrical issues you face. Feel confident that an expert job is being done and your family is safe as well. It’s critical that you select the correct wiring and devices. Bad wiring can damage appliances and, sometimes, your whole power system. Because today’s society is more reliant on high-tech devices than ever before, undersized wiring can affect the voltage fluctuations and cause power distortions that can affect the way appliances work. Put your trust in Ampacity Electric to handle all your electrical needs, whether they’re small or big. If you own a home, you want to ensure your family is as safe as possible. After all, you didn’t buy it just to waste money. You want the stability that a good home provides for your family. Obviously you can’t avoid disasters or the harsh effects of Mother Nature. However, you can do something about loss of power when it happens. We can install a portable generator and connect it to your home’s power system so you have backup power if the mains goes out. Our technicians spend their days driving around Wood-Ridge, helping your friends and neighbors with their electrical needs. 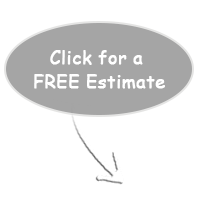 You can call us on 201-406-2855 and benefit from the same high-caliber workmanship that our team at Ampacity Electric provides to everyone around you. Are your lights flickering? Fuses blowing often? Breakers repeatedly tripping? Having to unplug one appliance to use another one? f you answered ‘yes,’ you probably need your electricity panel upgraded. Don’t think of these things as mere nuisances. It’s a matter of keeping your entire family safe from being electrically shocked or from a fire breaking out because you didn’t update your power panel. At Ampacity Electric, we have great respect for electricity because that’s what it needs. If you want your panel upgraded, help with general electric work or to solve power problems, one call to our expert technicians on 201-406-2855 and we’ll fix the hazards in your home and keep your family safe. I'm impressed! I recently hired Ampacity to do some work in my home, and they were the most professional contractors I've ever worked with. They followed up immediately to every email I sent, gave me a very fair estimate for the work, and that was exactly what I paid - no surprises. They arrived on time for the job and made sure everything was in perfect order before leaving. 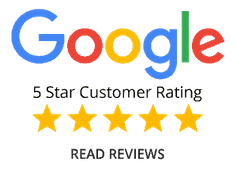 The work itself was top-notch: their wiring is some of the cleanest I've ever seen, and their knowledge of the code is thorough and current (no pun intended). 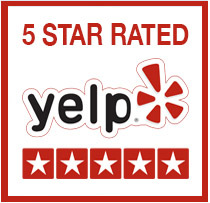 I'm really happy with the experience and will definitely call them again next time I have electrical needs. Great job,, I was accommodated an appointment to my convenience in a prompt manner. They arrived on time and started working fast finishing the work earlier than I expected. Very professional. Great guys. They cleaned out the mess and left me with a beautiful installed chandelier in about 45 mins.I highly recommend this company. Will definitely use them again.